Perfect Day’s do not come much more perfect than this. There hasn’t been even a hint of a cloud in the sky from dawn ‘til dusk and the unbroken sunshine has not been accompanied by any chill wind. In fact, there was very little wind at all. Today was cloudless, shirt sleeve weather – utter bliss. Having put our winter-weary legs through a 27ml/43km slog yesterday, our muscles were feeling the effects today so we decided to give them a bit of a rest by wandering down to a hostelry in Sway for a bite of lunch. It’s about 4 miles there and back. Francine came expecting a bit of a spring flower fest but has been a little disappointed thus far. 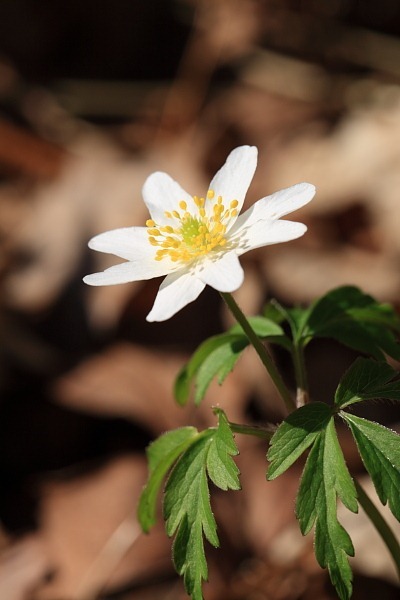 However, on the way she did spot our first Wood Anemone of the season. 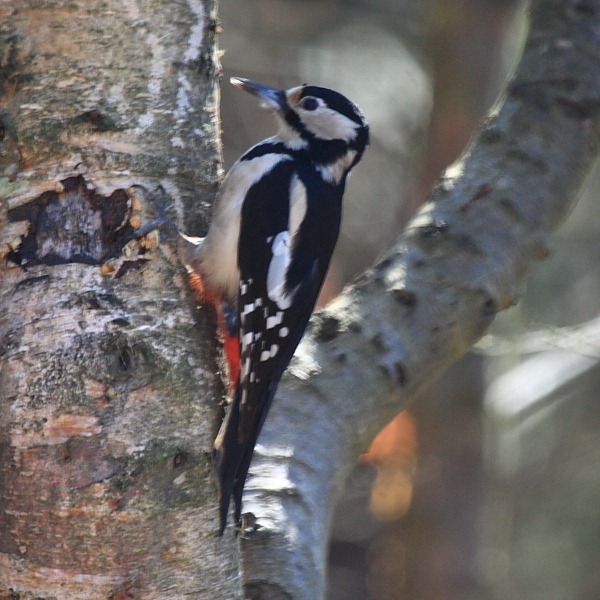 Since neither of us is very good at sitting doing nothing, even in stunning weather, the later afternoon called for a swift check on the wildlife at Tiptoe. The water is very clear now and we spotted some kind of newt lurking on the bottom. 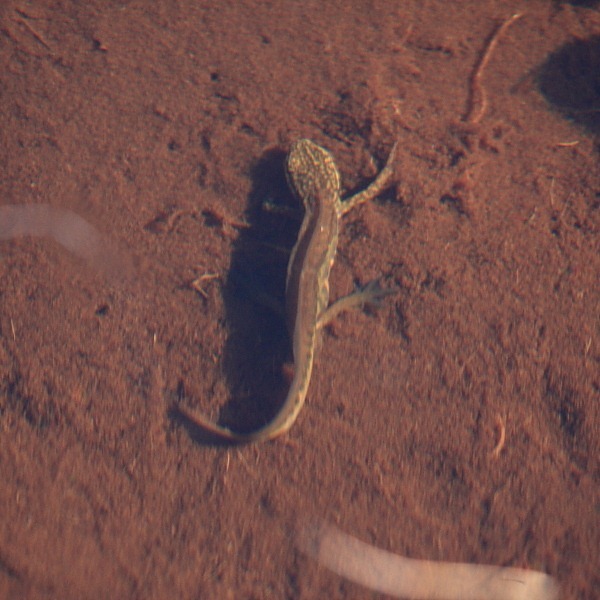 The choices are limited, there being but three British newts but I don’t know which this is. The water is a little more difficult to correct for – should’ve used the polarising filter but I was too hurried– so the shot is a little murky but it’s worth sharing. We snapped several Pond Skaters, too. It’s amazing how little I seem to notice when concentrating on getting a shot. 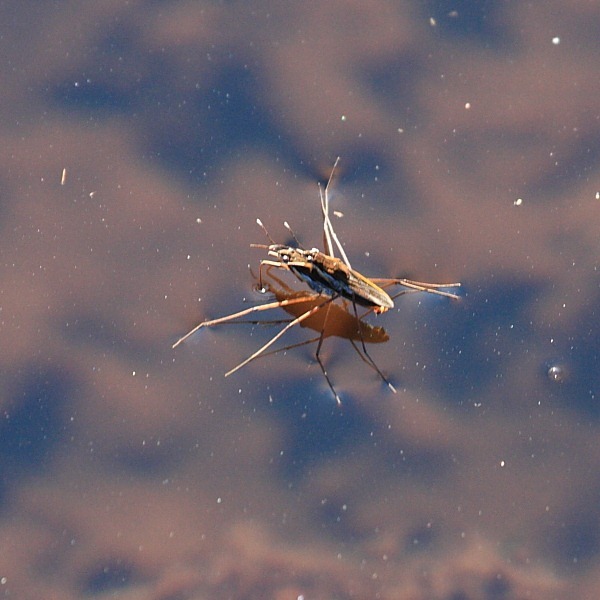 I was particularly surprised to find, when loading the pictures on a the computer, that one Pond Skater was actually a mating couple of Pond Skaters. Now how did I miss that?